Options: Wheel lip moldings, Lucas lights, front and rear bumper guards, competition handling package and remote control outside mirror. All original side glass and new Carlite windshield.helby 15"x7" aluminum 10-spoke wheels, Eagle GT II radial tires. Original Shelby hubcaps and original red line spare in trunk. 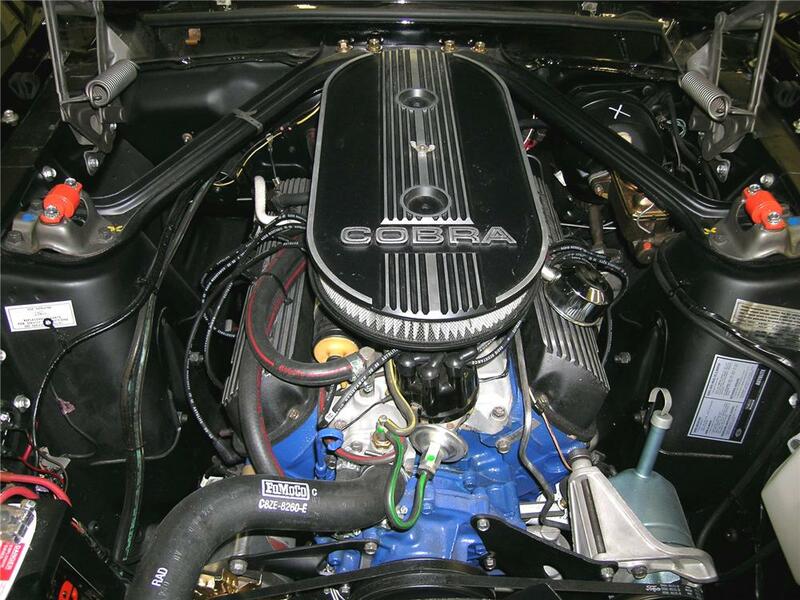 Holley dual carburetors and extra cooling package. Original matching numbers Select-O-Matic C-4 automatic transmission. New black softtop with split folding glass window. Black convertible top boot. 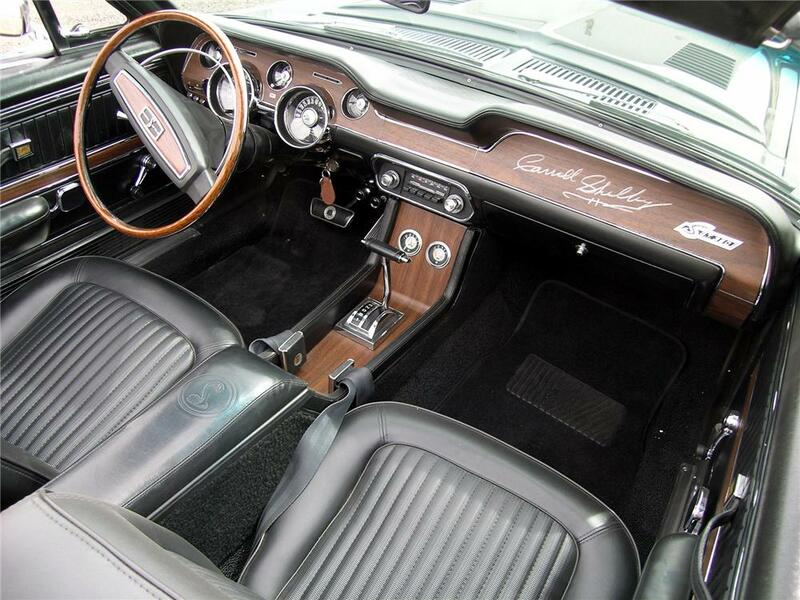 Dashboard is signed by Carroll Shelby. Black interior Decor group with bucket seats, deluxe interior with center console, visibility group, tachometer and trip odometer, Philco AM/FM radio, heater/defroster, integral roll bar, oil pressure gauge, ammeter and tilt-away steering column. Car comes with power steering and power front disc brakes. 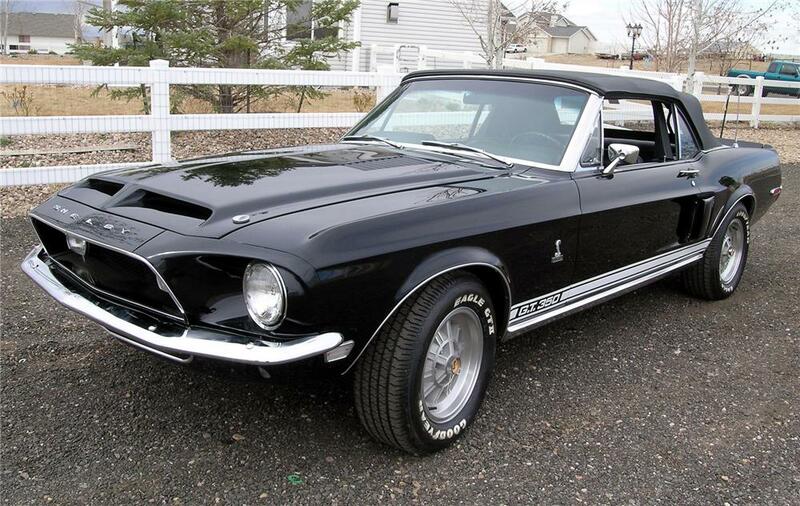 Real 1968 Shelby GT350 Convertible. Winner of Bronze in the Concours Trailered or Driven category at the MCA Grand National 2008, car comes with 13-page judging sheet. 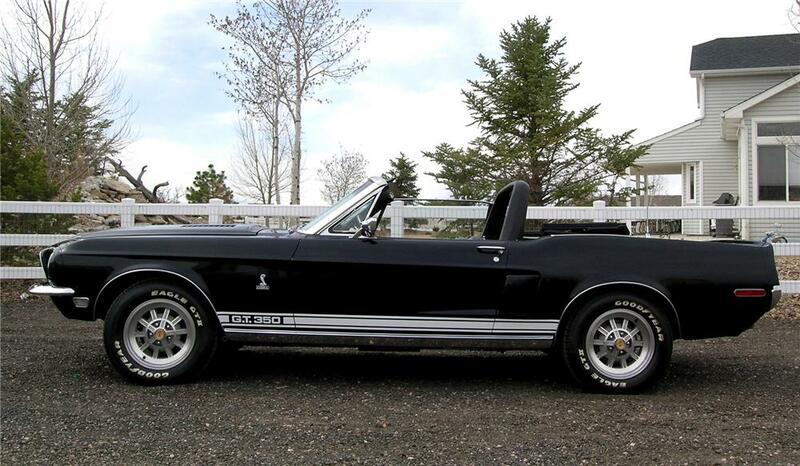 1 of only 404 built and listed in Shelby Registry. New, full nut and bolt rotisserie restoration. This is an original sheet metal car, not a clone. 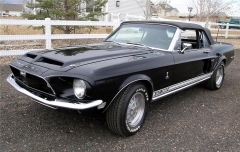 Documentation includes Elite Marti Auto Works Report, two original factory Build Sheets, Buck Tag, VIN plates, original Shelby Automotive sales invoice, form 6707 and pre-delivery service sheet. Owned by same family since January 1970 with invoice, warranty card and purchase canceled check. Body is all original sheet metal components. New beautiful color change to black paint with new GT350 logo and stripes. Car media-blasted to bare metal and painted with grey epoxy primer, three coats of black color coat and then six coats of clear topcoat PPG two-stage paint. Engine is original matching numbers 302cid 4V engine. Complete engine rebuild with brass seats to accommodate unleaded fuels. Trunk is fully restored with matching kit bag. From the Mauzy Family Collection.